Fresh flowers infuse colour and fragrance into marriage. 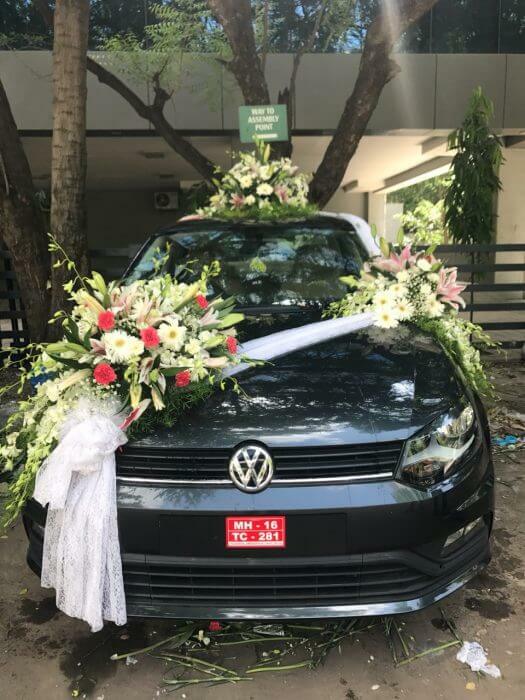 Apart from decorating venue, making wedding bouquets, and centerpieces, fresh blossoms are must for car decoration for marriage. 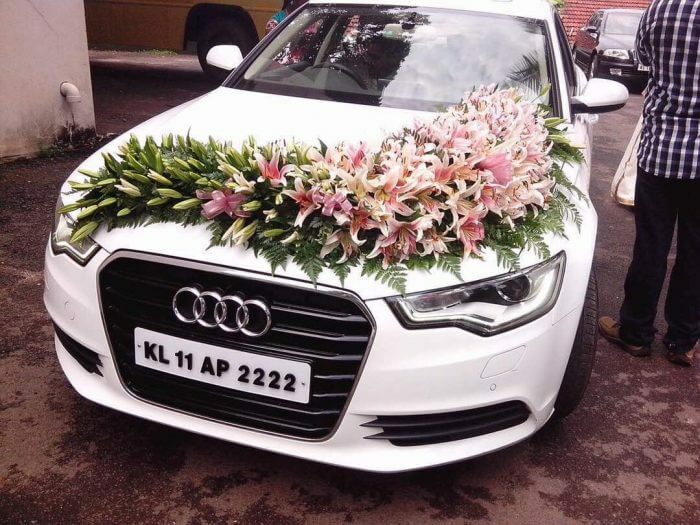 A wedding car beautifully decorated with colorful and natural blooms can create a style statement for the couple. 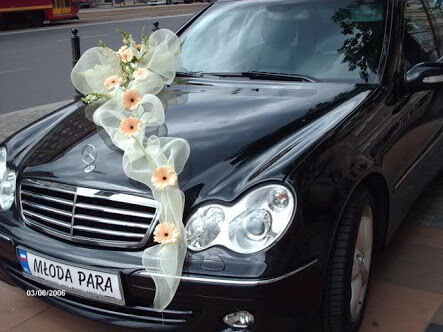 Wedding car decoration with flowers can go from minimal to grand. What needs to be taken care of while decorating the car is the use of right accessories so that the body of the vehicle doesn’t bear any scratch. Here are 5 amazing ideas to decorate your wedding car and make a lasting impression. Choosing the right type of car decoration flowers and grouping them for creating an attractive floral corsage is essential. 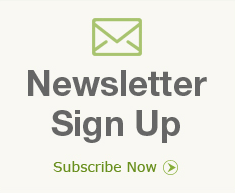 Also, include green foliage in the design to give it a feeling of ‘just plucked’ from the garden. Tie medium-sized corsage to the door handles of the car. For the bonnet, fasten a large size decorative corsage with cello tape. Complement the floral design with a large heart-shaped wreath in red roses. Tie pink or white netting or thick ribbon to the side of the bonnet from the inside and fasten it to the front or tie them to each side of the mirror to create a ‘v-shape.’ The colour of the netting and floral corsages should be in contrast to the car’s colour. Fasten medium-sized corsages on each side of the ribbon in equal number. Three corsages for each side create symmetry. On the front and center of the bonnet, create a bow of the netting and attach a ribbon bow on it with a large decorative floral corsage. The combination of Baby’s Breath and Red roses along with green foliage is perfect for a heart-shaped wreath. Fasten a soft toy that symbolizes love on the center. If you are tying it on the back of the car, a large heart-shaped floral wreath is best which can be easily visible from a distance. 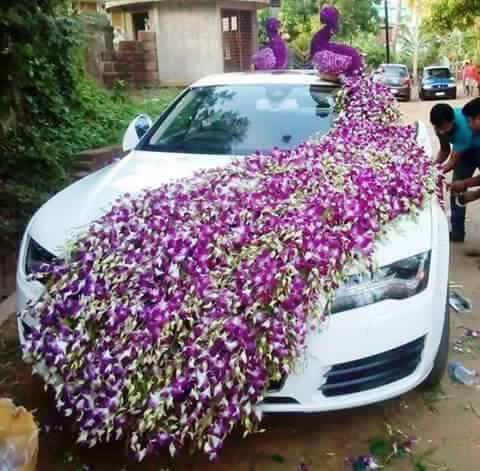 You can even cover the hatchback with many fresh blooms in different shades. 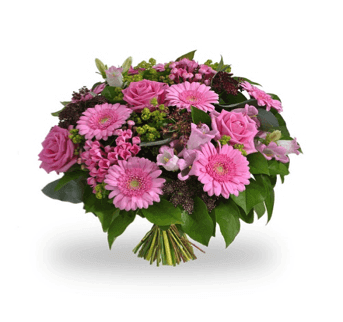 Pink or red fuchsia corsages with a long, thick white ribbon fastened on the upper body of the entire car will give a decent look to the car. Just try to maintain equal distance between each corsage. Also, the ribbon must be falling down and fastened as well. This would require covering almost the entire car with flowers. 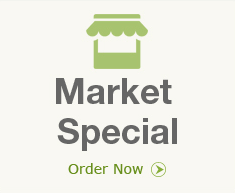 For which, you will need a good supply of wedding car decoration flowers delivery. With flowers of two different colour and green foliage, start creating flower trail from the back of the bottom then bring it from the top to the front and under the bonnet. Better if the trail is in zigzag shape. Just ensure you leave enough room for the driver to see through and drive. Keep five to six inches of distance between each trail and fill the gap with green foliage. Fasten single rose on the remaining part of the bonnet. 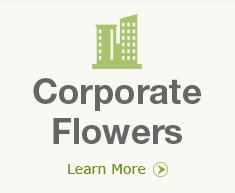 Blooms Only is a sought-after wedding florist in Pune that supplied best wedding flowers for car decoration. 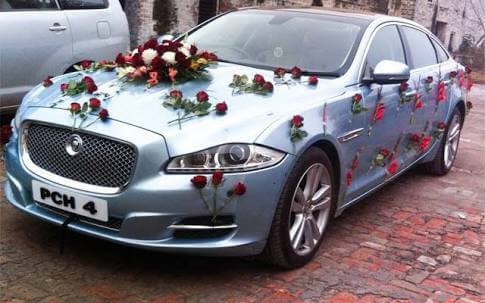 Their floral experts are well-trained to decorate any types of wedding cars.